There are plenty of mid-sized sedans on offer, but Palm Coast and Port Orange often end up in the same position – comparing the 2015 Nissan Altima to the 2016 Toyota Camry. We’ve conducted a competitive comparison to help our customers understand which one comes out on top. 2.5: Starting at $22,300, your entry-level Altima includes an Xtronic continuously variable transmission (CVT) system as standard, as well as a push button ignition system and an Advanced Drive-Assist Display with 4.3-inch LCD screen. 2.5 S: Starting at $22,560, the S model adds the convenience that comes with smart auto headlights, a Nissan Intelligent Key system, and cruise control as standard. 2.5 SV: Starting at $24,720, the SV upgrades styling with 17-inch aluminum-alloy wheels, a remote engine start function, and the NissanConnect infotainment system with Mobile Apps. 2.5 SL: Starting at $28,150, the SL model provides a first-class cabin characterized by rich leather-appointed seats and the crystal clear surround sound of a Bose premium audio system. 3.5 SL: Starting at $32,350, this model is defined by its high performance 3.5L engine, but also includes high intensity discharge (HID) xenon low-beam headlights and all the comfort and convenience features of the 2.5 SL. 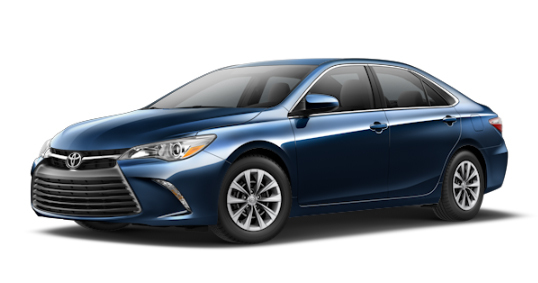 The 2016 Toyota Camry starts with the LE at $23,070, which costs significantly more than a standard Altima. As the model line progresses, the Camry fails to hold value, with the upper level trim starting at just $26,310 and missing several key luxury features. 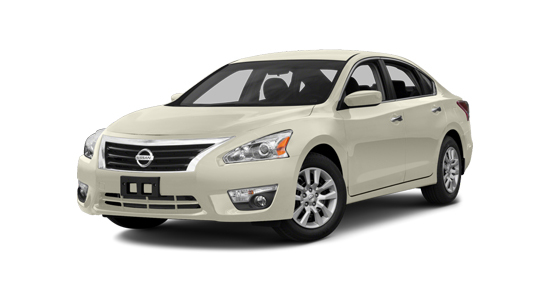 Both the 2015 Nissan Altima and the 2016 Toyota Camry come with your choice of either a 2.5L 4-cylinder engine or 3.5L V6 motor, but the Altima still manages to pull ahead easily. Standard Power: The Altima’s 2.5L four-cylinder produces 182 hp and 180 lb-ft of torque to the Camry’s 178 hp and 170 lb-ft of torque. With Xtronic CVT as standard for the Alitima, it makes up to 27 mpg in the city and 38 mpg on the highway; the Camry’s outdated 6-speed automatic ensures just 25 mpg city and 35 mpg highway. Available Power: The Altima’s V6 is capable of putting you in command of 270 hp and 258 lb-ft of torque compared to 268 hp and 248 lb-ft of torque in the Camry. CVT is still standard, ensuring up to 22 mpg in the city and 32 mpg on the highway, certainly superior to the Camry’s V6 mileage rating of 21 mpg city and 31 mpg highway. 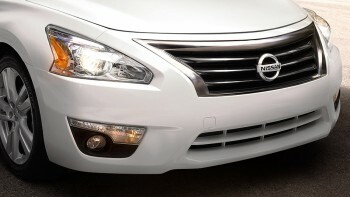 With both efficiency and power superior in the 2015 Nissan Altima, it makes little sense to consider the Camry. Zero Gravity Seats: Taking inspiration for NASA engineering, Nissan’s team designed Zero Gravity front seats to simulate a feeling of weightlessness. That means reduced fatigue and optimum support. NissanConnect with Navigation and Mobile Apps: Use your NissanConnect infotainment system to stay in touch with the outside world. In addition to a number of navigational tools, you can take advantage of a growing number of apps, whether you want to check Facebook or listen to podcasts. Moving Object Detection (MOD): If your RearView Monitor detects something moving behind you while in reverse, this system will provide visual and audible alerts. 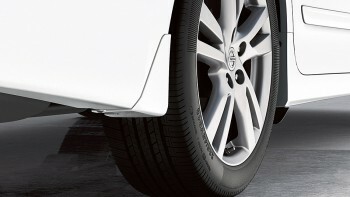 Easy-Fill Tire Alert: Under or over-inflating your tires can be dangerous, so this innovative feature provides a small beep of the horn to indicate when you’ve reached the right pressure. 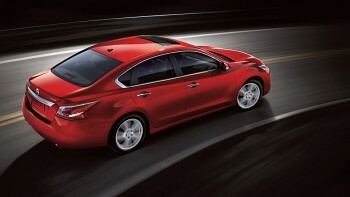 With a stronger output, superior mileage ratings, better technology, and class-exclusive safety features, it’s easy to see why drivers all across the country prefer the 2015 Nissan Altima.